The Cool Living Window Mount Air Conditioner is small, compact and lightweight, but yet powerful. This AC comes with a window mounting kit that makes it easy to install. 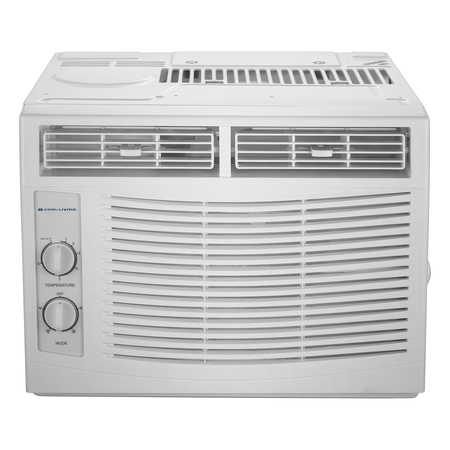 Rated at 5,000 BTU this unit can cool off rooms up to 150 sq. ft, simple manual controls, side slide out filter access for easy cleaning and replacement, multi-directional vent, and has eco-friendly R410A refrigerant. Designed for installation in standard double-hung windows with actual opening widths from 23" to 36".